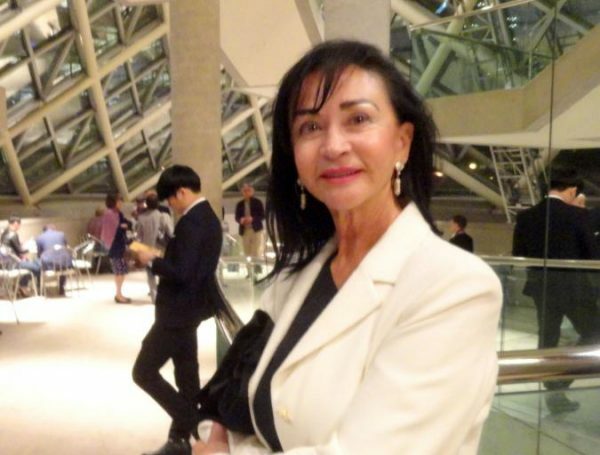 TORONTO—After the Shen Yun Symphony Orchestra’s weeks-long tour in Asia, it was now finally Toronto concertgoers’ turn to bask in its soothing music. Enthusiastic fans applauded, and even cried, as the orchestra played Shen Yun’s original compositions and timeless masterpieces of Western classical music at Roy Thomson Hall on Oct. 11. At the end of the concert, audience members stood and cheered so appreciatively that the orchestra was compelled to give not one, but three, encore performances. Shen Yun’s music is unique in that it combines traditional Chinese instruments with a full Western orchestra in a masterful fusion. 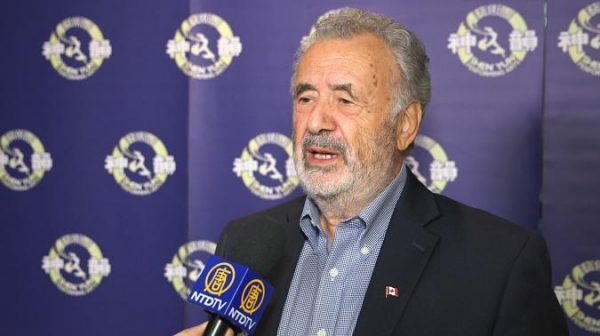 This year is the fourth consecutive year that retired Canadian senator Consiglio Di Nino has attended the Shen Yun Symphony Orchestra concert. For Mr. Di Nino, this is not ordinary music. “The music is sometimes angelic. You can really feel that spirit that they’re trying to create. 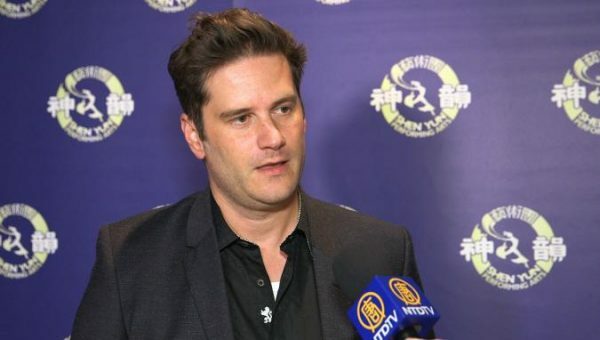 … That’s [what] the Chinese instruments and the Chinese music create—that atmosphere of heavenly [sound],” he said. 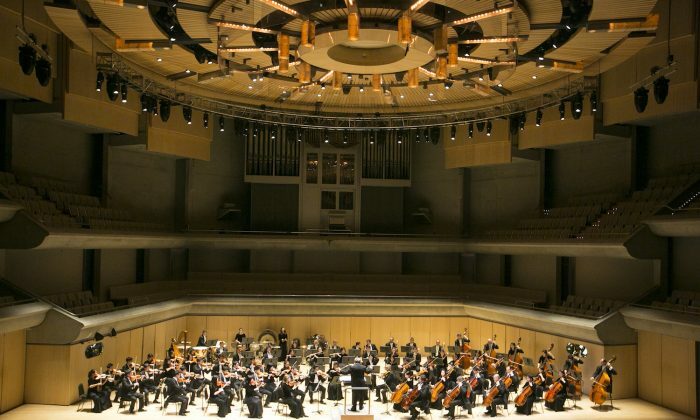 Michael Vincent, founder and CEO of Ludwig Van, a network of classical music websites based in Canada, praised the orchestral performance combining Western and Eastern instruments. “The conductor was particularly good. I was quite impressed with him,” said Vincent, a composer and a former music critic for the Toronto Star. 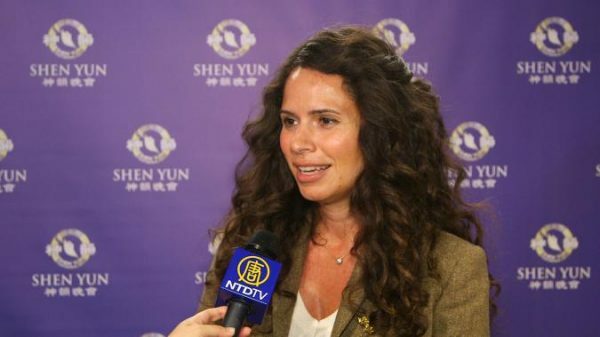 Manon Le Paven, who came to the concert last year as well, said the Shen Yun Symphony Orchestra is simply the best. “I’m telling you, [it’s] the best in the world,” she said, promising that she’ll be attending year after year until she’s 105. “It was done with a lot of sensitivity for the different qualities, the different emotions that are transmitted in the music, and the different energy levels in the music. There is peace and tranquility. There is power … and it purifies you inside. It gets you centred,” Ms. Borgia said. “It really transports you to a different time and place. It’s so atmospheric, and really you can feel it in your heart and in your soul. It’s a very deep, moving instrument,” she said. 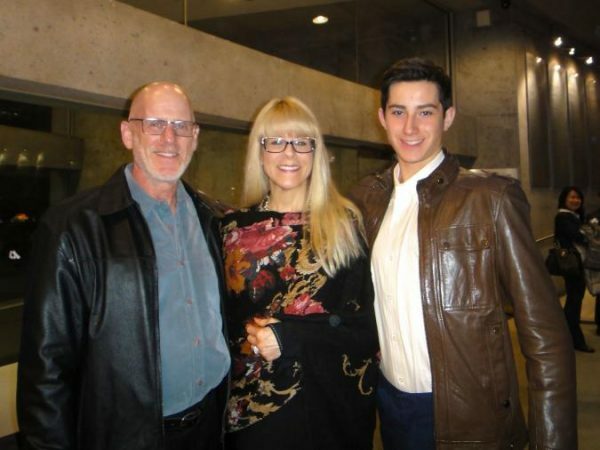 Laurie Evans, a manager in the health industry, also had an inspiring experience taking in the performance. “It was absolutely amazing, very soul enriching. Our hearts are open and we are really happy that we came. It was beautiful,” she said. Ms. Evans, who is recovering from a car accident, said she felt that the music had a healing effect. According to the Shen Yun website, the ancients believed that music has the power to heal. In fact, the Chinese character for medicine originates from the Chinese character for music. “I actually found it very healing for my brain, very healing for my heart. And just being able to relax and be completely in the moment was really the lift that I was looking for,” she said. John Adamson, who is a former administrative director of an opera company, said he felt a lot of energy coming from the stage. “It’s a very large orchestra to start with and the pieces they’ve picked are quite sensational,” he said. Pianist and composer Kathleen Gorman said the orchestra has a “high level of mastery” and expressed high praise for the conductor. “It’s a pleasure to watch him. He’s great, he’s so dynamic,” she said. 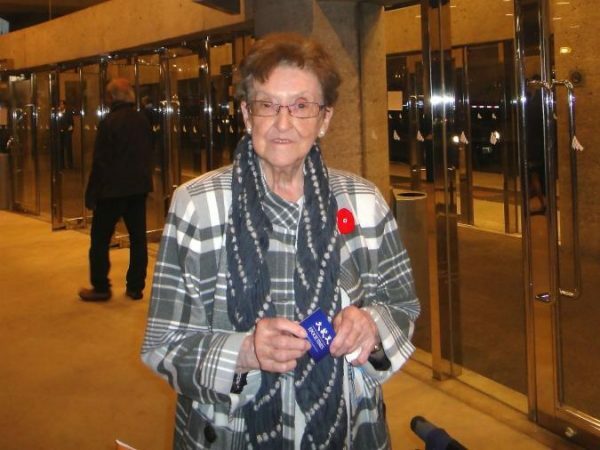 Doina Vuia, who owns her own business, said she found it hard to find the words to express her feelings after watching the orchestra. “It’s absolutely amazing. … I want to thank God for giving me the opportunity to be here and enjoy such finesse. It is the best,” she said. 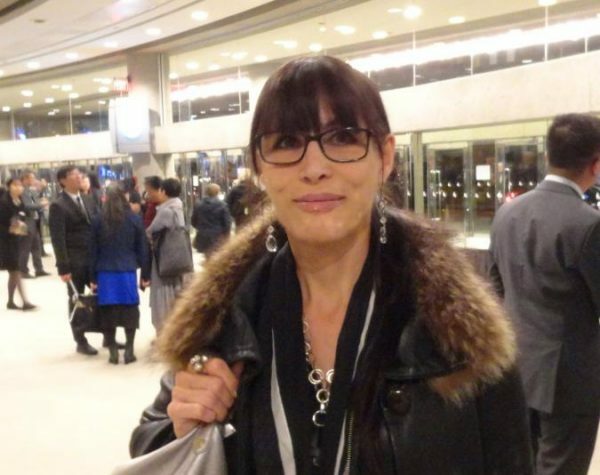 Veronica Moro, a singer, songwriter from Venice, said she was very lucky to be in Toronto at the time Shen Yun Symphony Orchestra was holding a concert and to be able to find the “last three tickets” so that she and her brother and mother could attend. Moro was in Toronto visiting her mother. “It was absolutely stunning. … There was such beauty and passion and talent that we were stunned,” Moro said. 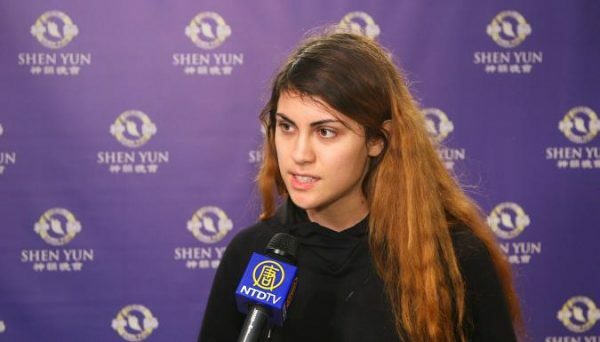 Her brother, Matteo Daros, said he felt tranquility while listening to the erhu performance. “But at the same time, there was a strong energy. It was a leap into Chinese culture,” Mr. Daros said.